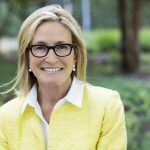 One of the hottest catchphrases in manufacturing is “the factory of the future.” But it’s not just a catchphrase—85% of manufacturers believe they can benefit from it in some way.1 Given such widespread interest, it’s no surprise that many analysts have weighed in on what the factory of the future is and how it can be achieved. Although each analyst frames their definition slightly differently, it’s clear that they share common characteristics and themes. 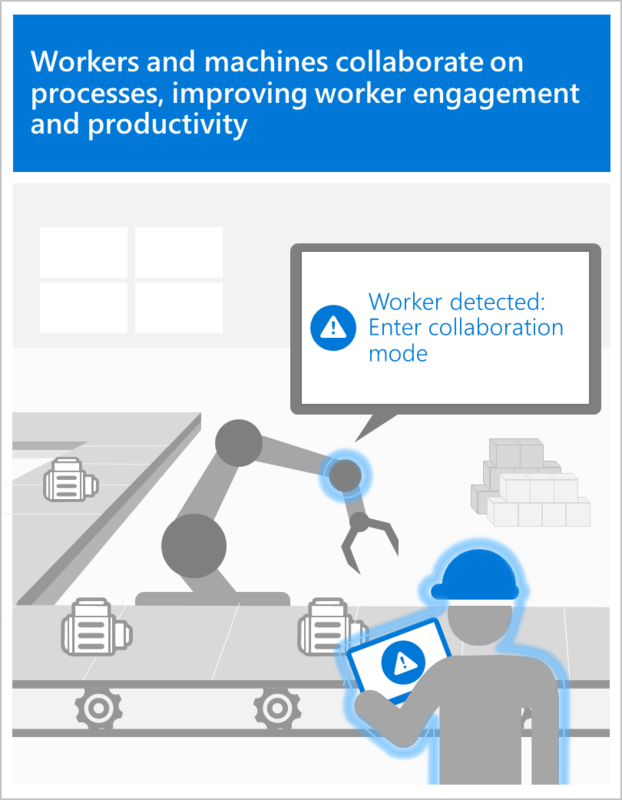 Microsoft has analyzed these and developed a point of view on the factory of the future that incorporates feedback from our customers about what they need today. We believe manufacturing is moving towards seamless integration of the physical and digital worlds to enable fast integration, feedback, and control loops throughout distributed manufacturing infrastructures. 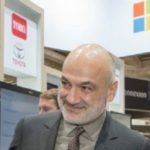 In the factory of the future, cloud computing and IoT enable individual plants to communicate with other factory sites, merging industrial infrastructures that are already in place. The result is a complex ecosystem of self-regulating machines and sites, able to customize output, optimally allocate resources, and offer a seamless interface between the physical and virtual worlds of construction, assembly, and production. 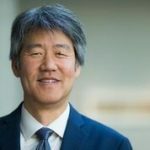 At the core of this vision are four fundamental shifts: an open value chain, flexible production, human-centered manufacturing, and innovative business models. Achieving this vision requires rethinking the value chain. 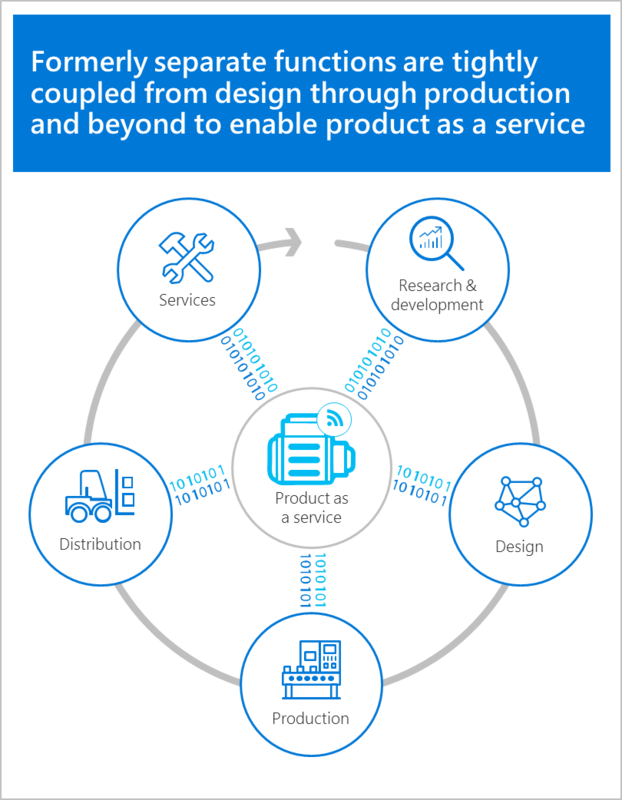 To adapt to shorter product lifecycles, the factory of the future does away with the traditional industrial value chain, which consists of independently implemented systems that support discrete phases of manufacturing (from product design and planning to execution). In the open value chain of the factory of the future, these systems, and the processes they support, are interoperable and integrated. This integration enables machines and IT systems to determine the best way forward using advanced algorithms, eliminating the need for workers to handle complex manufacturing processes and resource management based on gut instinct and experience. The result is a value chain that is self-regulating and adaptive. Similarly, the factory of the future embraces more flexible production. With the integration of industrial automation and software with design systems, the factory of the future automatically extracts settings from product configurations and propagates best practices across facilities. It leverages sensor data to ensure processes are updated in real time to keep up with changing conditions. By adopting these advanced technologies, the factory of the future also becomes more human-centered. Systems integration, for instance, facilitates dynamic work schedules that respect workers’ personal time. And robotic technologies enable workers and machines to collaborate on processes that involve both repetitive tasks and complex decision-making. Access to data and data-driven insights empower workers to make complex decisions with confidence. Ultimately, advances such as these improve worker satisfaction and productivity. The factory of the future is not just about optimizing production processes; it can also enable innovative business models, such as product as a service. The journey from selling a product to selling a product as a service requires redesigning products and production systems to support capabilities like remote monitoring. Functions that were once separate, like operational technology on the factory floor and service contract management, now must be tightly coupled from design through production. 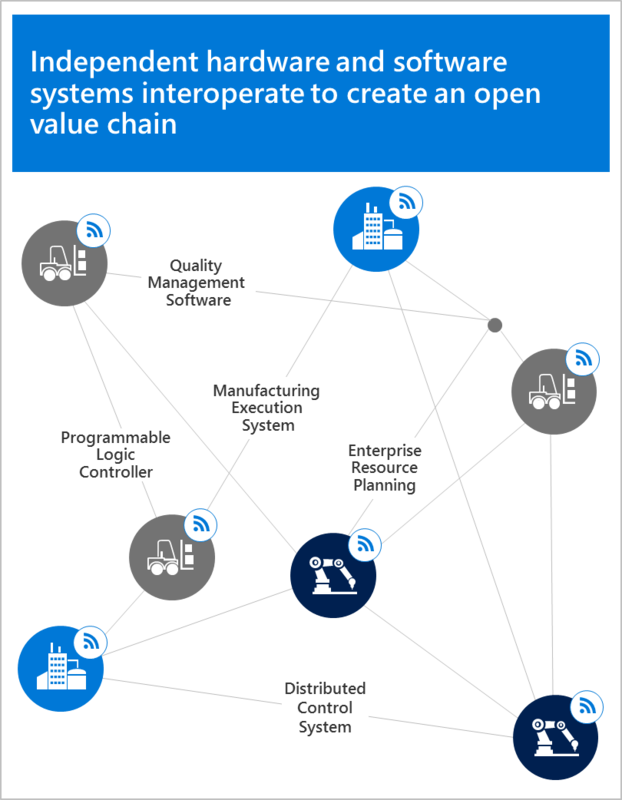 The systems integration and open value chain in the factory of the future make this possible. The distance between the factory you have now and the factory of the future is strategic investments and time. Your investments will get you there sooner if they’re based on real operational data rather than guesswork. 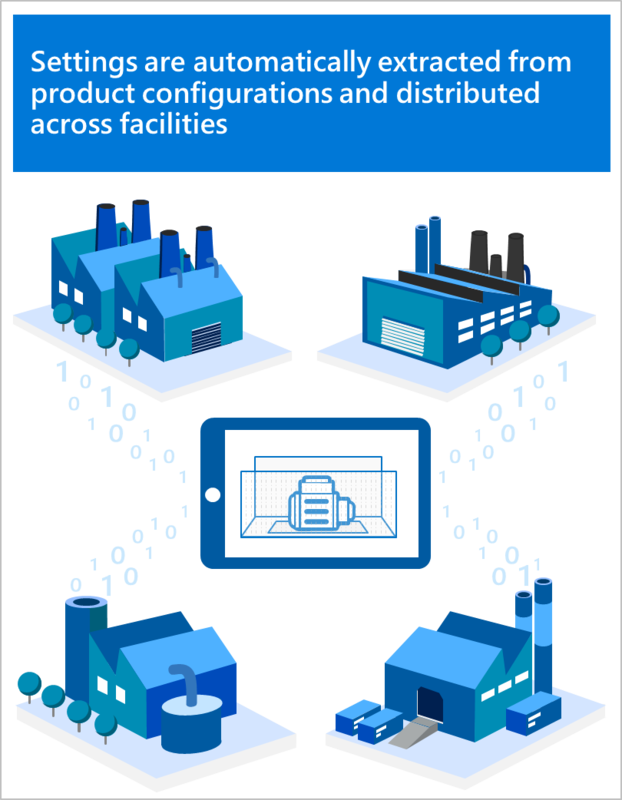 That’s why Microsoft offers the Azure IoT Suite connected factory solution, a preconfigured solution that enables you to connect your existing machines to a secure cloud without disrupting production. With connected factory, you can achieve end-to-end visibility into your production and gain insight on how it could be transformed. Contact us today to discuss what this could mean for your business.